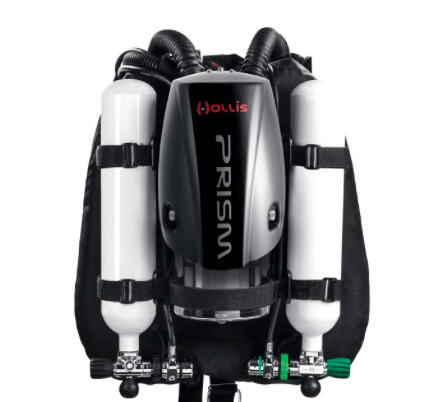 The Prism 2 is a fully closed circuit Rebreather, ideal for exploring open ocean, cave, or wrecks. This unit can be electronically or manually controlled which means you choose how you want the loop PPo2 maintained. Includes shoulder mounted counter lungs and rear mounted radial scrubber which provide easy breathing with low resistive effort and low hydrostatic loading. The Prism 2 has also been tested by ANSTI at 100M and has the lowest WOB of any mixed gas CCR on the market at 0.94 J/L. The standard kit includes an electronic secondary control and primary LED displays with a backplate/wing assembly that provides a complete kit ready to dive out of the box. Unit can also be purchased with or without tanks/valves.